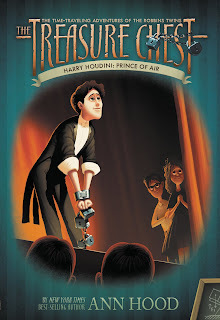 Ann Hood's young adult series The Treasure Chest has received a cover art makeover, and included in the new set is last year's Houdini-themed release, The Treasure Chest #4: Prince of Air. 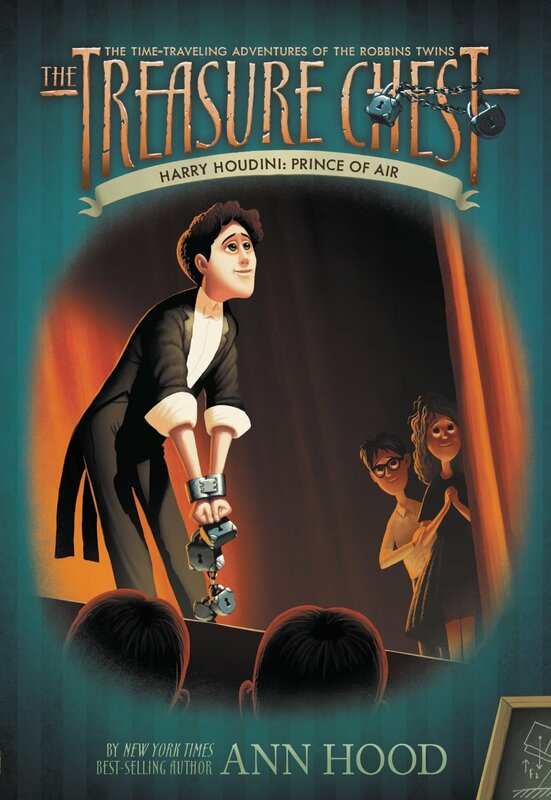 The new cover features an image of Houdini along with Houdini's name added to the title itself. That's what we like to see! However, the trick is actually getting this new cover. This artwork appears on the Amazon listings for the both hardcover and paperback, but I ordered and received the old cover. So this might be one that you'll need to seek out in the stores. The Treasure Chest series finds then Robbins twins, Maisie and Felix, transported via a treasure chest time machine into the past where they meet up with famous historical figures. In Harry Houdini: Prince of Air the twins meet Houdini and his brother Dash in Coney Island in 1893.